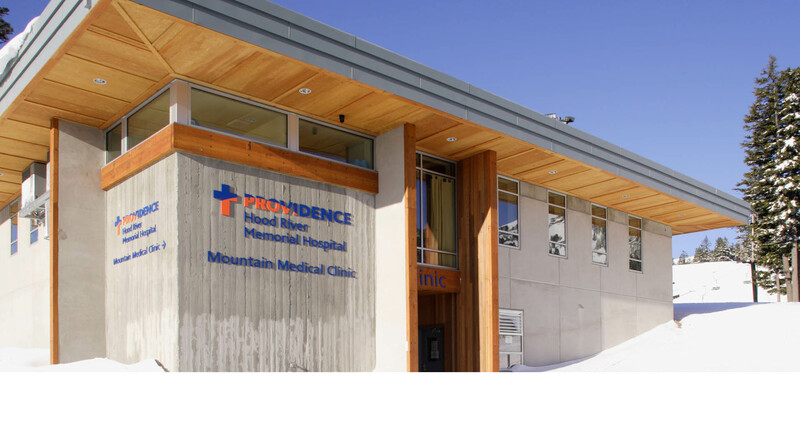 The new LEED Silver, 5,000 sf medical center is located adjacent to Mt. 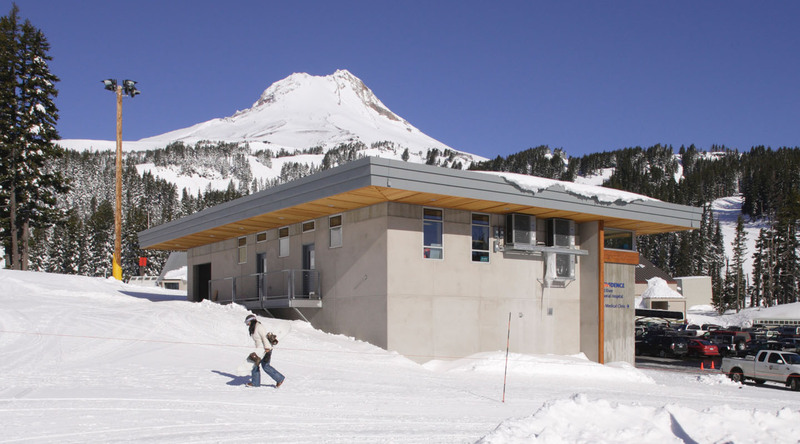 Hood Meadows’ Day Lodges and provides skier, snowboarders, and Mt. 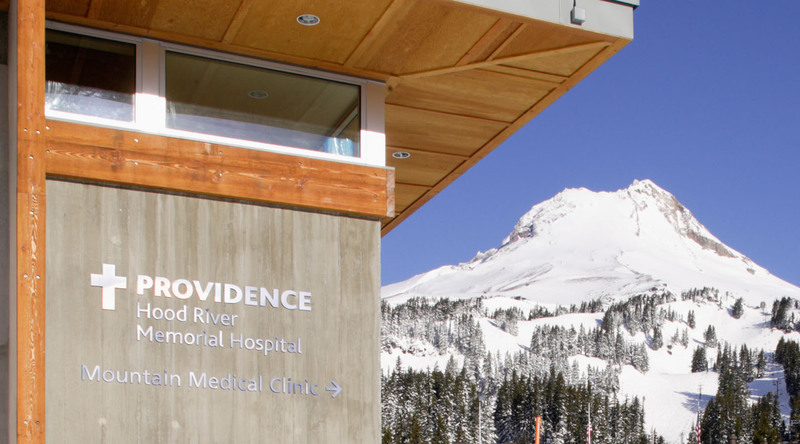 Hood Ski Patrol staff with state of the art medical treatment. 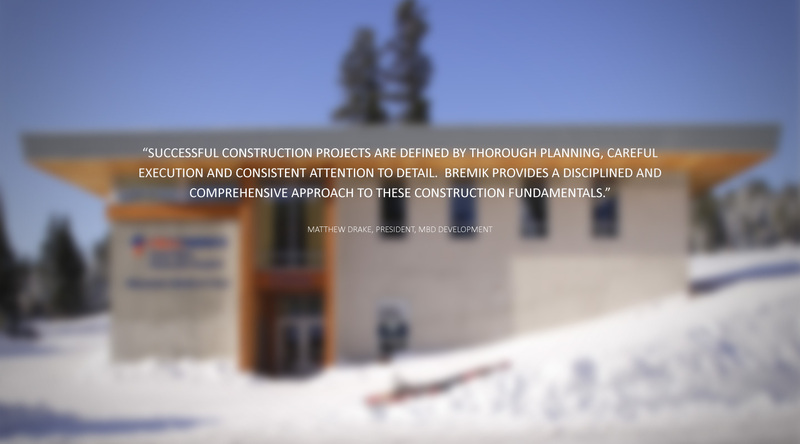 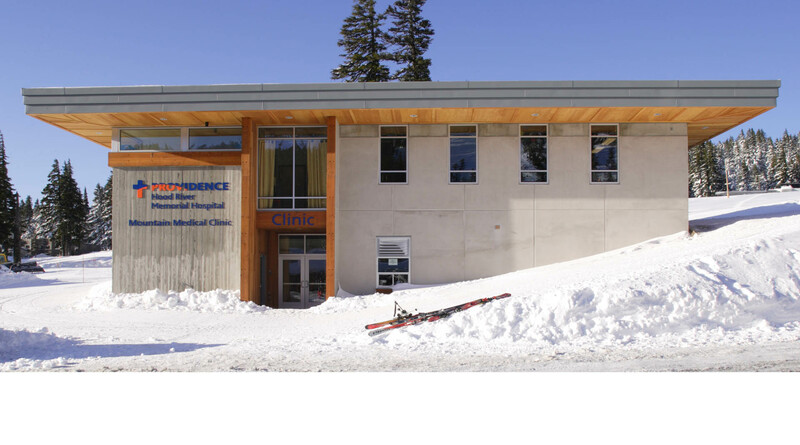 The exposed concrete and heavy timber framed healthcare building was built to specialize in treating ski and snowboarding injuries.